Contrary to popular belief, Office 365 and other software as a service (SaaS) models provide no real internal backup solutions. While Microsoft has sound internal security and is capable of managing Office 365 infrastructure, third-party services are needed to ensure comprehensive data protection and compliance. Let’s take a look at 5 key reasons why you need a dedicated backup service when you’re using Office 365. Along with internal security threats, many businesses have experienced a rise in malware, viruses, data theft and other security threats from the outside. Kaspersky blocked almost 800 million attacks from online resources across the globe in the first quarter of 2018 alone. Many of these benefits come at a cost, however, with enterprises losing control over data retention and recovery. While Office 365 does have its own retention policies, they are ever-changing and difficult to manage. In fact, confusing and inaccessible data retention is one of the reasons why so many businesses refuse to move to the cloud. The post 5 reasons why you need a backup service, even if you’re using Office 365 appeared first on ISG Technologies. Overland Park, KS February 19, 2019 – ISG Technology announced today that CRN®, a brand of The Channel Company, has named ISG Technology to its 2019 Managed Service Provider (MSP) 500 list in the Elite 150 category. This annual list recognizes North American solution providers with innovative approaches to managed services. These services help customers improve operational efficiencies, maximize return on IT investments, and continuously help them navigate the complexities of IT solutions. Managed service providers are integral to the success of businesses everywhere. They empower companies to implement and operate complex technologies while staying within their budgets and keeping focus on their core business. CRN’s MSP 500 list identifies the most groundbreaking managed service organizations, with advanced solutions that have endless potential for growth. Managed Security 100 – recognizing MSPs focused primarily on off-premises, cloud-based security services. ISG’s managed service offering is centered around a core set of services such as 24×7 network monitoring, proactive alerting, patching and updating, infrastructure maintenance and a help desk to keep users productive. Customers also have the ability to add advanced services such as cloud backup and replication, hosted voice, managed security, Office 365+ and more. Evaluated the health of the client’s network security to find at risk data. If a server were to fail under the original network system, data would have been lost and unrecoverable. Discovered the company was poised for growth, but infrastructure was unable to keep up with needs and goals. Determined the transition to the new network had to take place outside of business hours. Freddy’s is now ready for tremendous future growth with the flexibility and security of ISG’s cloud solution with our straightforward approach to implementation and willingness to execute outside of business hours, ensuring both client satisfaction and business success. VoIP (Voice over Internet Protocol) is a technology that allows businesses to make phone calls with a broadband internet connection, instead of using a telephone landline. As companies grow increasingly dependent on the internet to do their business, VoIP has become more and more appealing for organizations of all sizes and industries. According to market research and advisory firm Zion Research, the global VoIP industry is expected to surge from $83 billion in 2015 to $140 billion by 2021. Despite the move towards hosted VoIP, many companies have chosen to remain with an on-premises PBX (private branch exchange) solution. In this article, we’ll discuss the definitions of hosted VoIP and on-premises PBX and then go over the pros and cons so that you can make the right choice for your business. The term “hosted” means that the VoIP provider is responsible for hosting the services in the cloud. In other words, the telephones at your business headquarters use the internet to connect to the equipment hosted by the VoIP provider at an off-site location. Most hosted VoIP providers use a recurring monthly or annual pricing model, which includes a predetermined number of minutes as well as a given set of features. However, some providers offer a per-minute pricing model for additional flexibility. It’s worth noting that many hosted voice offerings are part of a “unified communications” solution that combines phone, email, fax, chat, and video capabilities. Indeed, some companies treat the terms “hosted voice” and “unified communications” almost synonymously. A private branch exchange (PBX) is a private telephone network that manages the internal and external phone calls of an enterprise. As the name suggests, “on-premises” PBX means that your business is responsible for maintaining the necessary hardware on-site. You have ultimate ownership of, and responsibility for, the network. Let’s look at the pros and cons of each option. Using an on-premises PBX solution is typically much more expensive when first starting out. You need to purchase your own hardware, set it up, and perform your own maintenance. Meanwhile, hosted VoIP uses an OPEX cost model, so your monthly expenses are much more predictable (and often lower). For example, small businesses that switch to VoIP can reduce the costs of local calls by up to 40 percent and the costs of international calls by up to 90 percent. If you’re just starting out and are unsure which option is best for you, then you should likely choose a hosted VoIP solution. Your VoIP provider shoulders all the load in terms of future work and expansion, including concerns such as maintenance and software updates. This gives you a great deal more flexibility. The biggest question mark in terms of hosted voice is reliability. Because VoIP relies on an internet connection in order to function, VoIP customers will be left without phone service when their internet goes down or when they experience a power failure. Before option for a hosted VoIP solution, be sure you have a reliable internet connection. If your company has the IT expertise required to perform the installation and you’re willing to handle all of the responsibilities, then an on-premises PBX may not be a bad choice. For most businesses, however, the lower costs, lessened maintenance obligations, and increased flexibility of a hosted VoIP solution are enough for them to make the switch. Need some expert advice about whether hosted voice or on-premises PBX is right for your organization? The right managed services provider can help make the decision a lot easier. Contact your MSP for some good advice on the solution that best fits your situation. If you’d like to keep reading, check out these additional options for cloud communication infrastructure. The school year is underway, and Backup School with ISG is back! Join ISG and Veeam as we educate our clients and their organizations about how they can keep their business up and running and eliminate downtime – even when the unexpected happens. Is downtime simply an unacceptable thing in your mind? Then this webinar is for you. Go beyond backup to better understand business continuity. With March winding down, it is important to remember the significance of confidential corporate information. Data has been called the new oil, however, as Business Insider pointed out, this is not a great comparison. Unlike oil, more data does not intrinsically mean greater value. The nature of this information greatly matters. So really, data is more like sediment. Some bits are just pebbles – numerous beyond count and basically interchangeable. However, certain information – like say personal identification information and dedicated analytical data – is immensely valuable. These are the gemstones, the gold, and this data must be protected. "Around 23 percent of IT thefts occur in office." While many organizations worry about theft from cars, airports or other public places – not enough information is paid to a real danger: the office. According to a Kensington report, 23 percent of IT thefts occur in office. This is nearly 10 percent higher than hotels and airports. The same report found that over a third of IT personal have no physical protection in place to prevent hardware from being stolen. Only 20 percent used locks to protect hard drives. While organizations worry about small devices like wearables and smartphones, basic security cannot be overlooked. Companies must take steps to ensure that only employees or approved guests have access to the premises. Even then, not every worker needs universal access. Server rooms and hardware storage should be kept behind additional locks. IT teams should also be required to keep a thorough inventory of all network-enabled data devices. This will alert the organization quickly should a theft occur. While cybersecurity grabs headlines – the importance of a good, strong physical lock cannot be overstated. Malicious third parties are not above using simple and primitive tactics. While physical protection is essential, cybersecurity is rising in importance. Gemalto data states that, since 2013, more than 9 billion digital records have been stolen, misplaced or simply erased without authorization. More troubling is the recent increases in data loss. Gemalto also recorded a steady rise data breach occurrence and a dramatic uptick in misplaced or stolen information. Cybercriminals adapt quickly and their tools are constantly evolving. Deloitte released a report chronicling the increasing tenacity and sophistication of ransomware, a disturbing cyberattack that strips away essential data access from organizations and charges them to get it back. Infamous attacks like WannaCry made headlines last year and unfortunately these incidents are expected to become more common. When enhancing cybersecurity, take a company-wide approach. Every employee with network access needs to be educated on basic risks. Network administrators should also structure internet connectivity to run on the principle of least privilege. As with the physical server room, not every employee needs access to every file. Permissions should be given sparingly. Lastly, businesses need a concrete plan if and when a data breach do occur so that they may respond efficiently and swiftly to contain the attack. 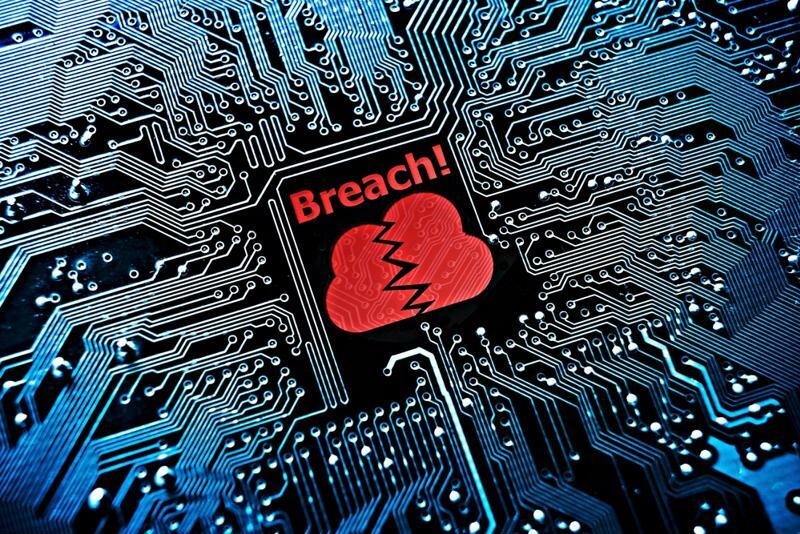 Finding the point of breach quickly can reduce the damage done by cybercriminals. One of the reasons that cloud services are so popular is that they alleviate certain cybersecurity concerns. Many businesses, especially smaller organizations, have budget restrictions, whereas a cloud services provider like Microsoft annually invests $1 billion in cybersecurity, according to Reuters. Handing off information security concerns to a trusted organization with more resources is a way to help safeguard your data, backing it up so that it will never be lost or stolen by a malicious third party. You arrive at work and get an immediate call to see the CEO. Upon entering the office, you notice that the CIO and other executives are in the room, as well as several people in suits you don't recognize. Everyone is looking stressed, brows furrowed and heads bent. Those new people in suits are lawyers planning the company's defense to the major data breach that was just detected. The malicious activity occurred last month and the hacker supposedly used your information. After frantic moments of head scratching, you remember: You sold your smartphone last month. While it was a personal device, you used it to check office email and it had stored access to the company network password. While data madness often happens when vital data goes missing, it can also occur when data isn't properly disposed of. Too often, organizations fail to stress the importance of information security at every phase of the hardware's life cycle. Before a machine can be decommissioned, data must first be thoroughly purged and, in some cases, destroyed. 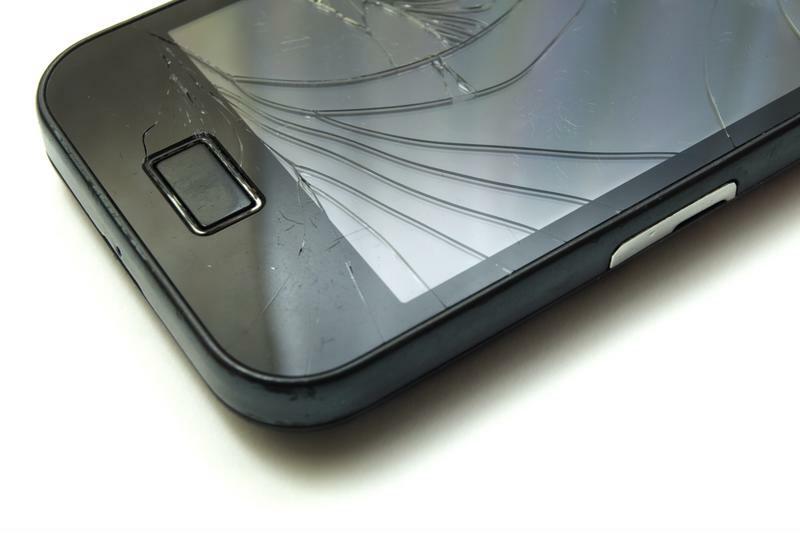 A broken phone can still house perfectly working data. In some companies, the temptation is to delete data by moving it to the recycling bin and pressing "empty." However, this is not enough. According to Secure Data Recovery, data emptied from the recycling bin is not permanently deleted – at least not right away. The computer simply deletes the pathing and labels the information as "free space," meaning that it can be overwritten by new data. For all intents and purposes, data deleted from the recycling bin is gone, at least as far as the layperson is concerned. Those with computer programming and specialized skills or software, however, can recover the information and restore it. If you've ever done a search for "data recovery" – you will see that these skills are not in short supply. Yet companies make this mistake all the time. A survey conducted by Blancco found that almost half of all hard drives carried at least some residual data. The same was true for over a third of smartphones. Files such as emails, photos and sensitive company documents were recovered from these devices. To securely delete files requires a more thorough process. The University of California, Riverside defines data sanitization as "the process of deliberately, permanently, and irreversibly removing or destroying the data stored on a memory device." Sanitized data drives typically carry no residual data, even with the aid of recovery tools. However, this solution often times requires additional software that will erase and rewrite information multiple times. Companies have a wide variety of options to choose from when it comes to securing data sanitization software. Microsoft even provides an in-house solution in the form of its tool, data eraser – which has been optimized for PCs and tablets. It's important to remember that different types of data drives will only be compatible with certain software. Given the sensitive nature of the material in question, companies should only choose data sanitization software from trust organizations. 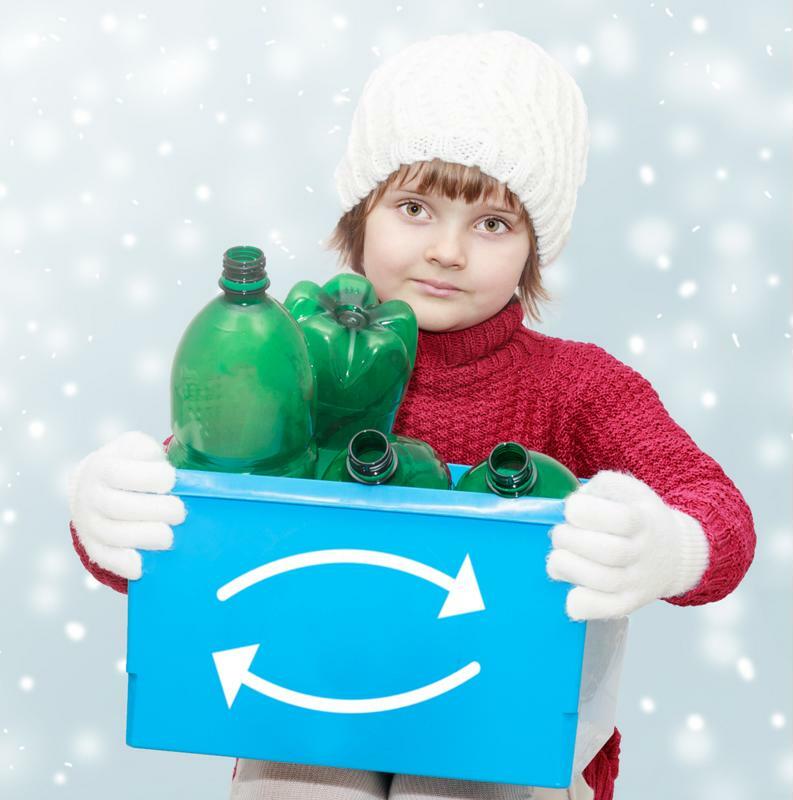 Recycling bins – like their physical counterparts – are not known for permanently disposing of trash. However, for some kinds of data, sanitization may not be enough. This can be regulated by internal business policy (such as placing employee payroll information as the most sensitive data) or by government laws like HIPAA – which mandate time-effective data destruction. In this case, the storage device matters more. Hard disk drives, commonly found in computers and servers, are the easiest to destroy as they operate on magnetic fields. A hard drive degausser can permanently alter these fields, leaving the device completely unreadable. Solid state drives and flash media are more difficult. Their data storage is circuit-based, rendering a degausser ineffective. These drives should be shredded or destroyed by quality equipment expressly designed for the task. Hard drive data can be recovered after improper destruction, even in extreme cases. ComputerWorld reported that data was restored from the wreckage of the Columbia space shuttle tragedy, illustrating the hardiness of certain drives and the effectiveness of professional data recovery tools. Safely disposing of data is no easy task and innovations like the internet of things have made it more difficult. Cybercriminals may be developing more sophisticated ransomware but they are also still routinely diving in dumpsters and scoping out secondhand stores for improperly deleted data. Make sure your company is taking the necessary steps to avoid data madness. Much is made today about choosing the right kind of data storage. When you’re running a team, the last thing you want is for some crucial information to go missing. Such a setback can be disastrous, especially if the data lost was from a survey or customer response. In addition, you have the added anxiety of only hoping the data was lost, not stolen. As data madness continues, we’re exploring the most secure methods to backup essential data. In today’s article, we’re putting the two most popular solutions under a microscope: in-house servers and cloud data storage. For many companies, success literally hinges on data security. Know the best method and keep your organization running. The longer a server is in operation, the more likely it is to break down. A Statista report found that only 5 percent of servers broke after the first year. By the fourth year, that number had more than doubled. By year seven, nearly 20 percent of servers failed. While the likelihood of a break is still relatively low after seven years, organizations are clearly taking a huge risk. Executives at this hypothetical company might as well tell their employees that there is only an 80 percent chance for productivity each day. Servers should be continually replaced and upgraded to be effective at securely housing data. However, age is not the only factor that can cause a server to malfunction. RocketIT stressed the need to continuously upgrade server software to keep it protected and compatible with modern systems. Since servers are gold mines of confidential data, they are the prime targets for any malicious hacker. Keeping servers up to date not only keeps them running smoothly, it also reduces the risk of viruses and malware being able to infiltrate the hardware. Lastly, if your business opts for servers then it needs a dedicated, maintained space in which to house them. According to Serverscheck, the ideal server room temperature is between 64-80 degrees Fahrenheit with no more than 60 percent humidity. Servers work best with constant conditions so any change could impact device functionality. In addition, if there is a flood or water leakage in the room, then the organization is at serious risk of data loss. 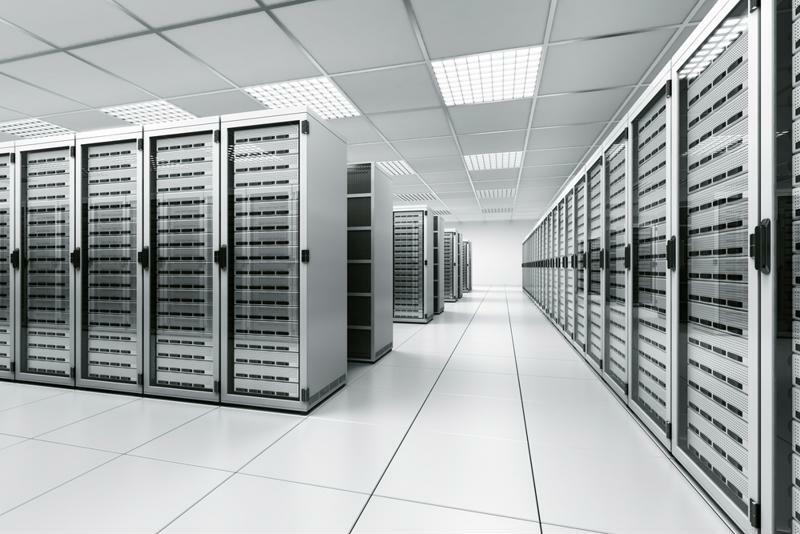 Servers need dedicated, environmentally-controlled space in order to function at peak levels. If your company instead opts for a cloud service provider, it must choose the right provider. There are currently numerous options in the field, with Amazon and Microsoft standing out as the dominant players. 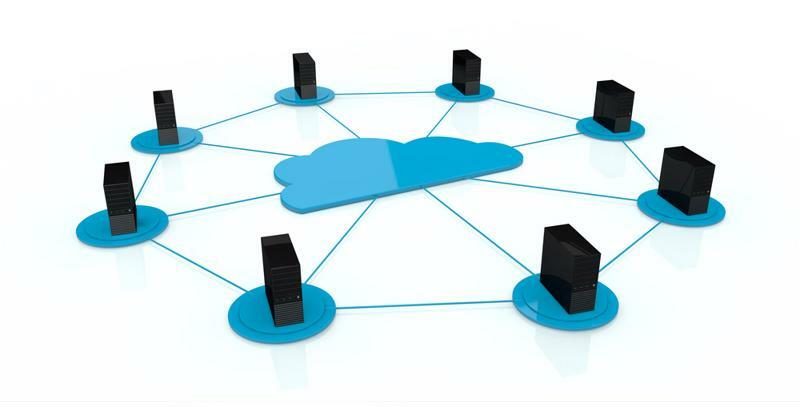 Many cloud service providers use physical servers themselves. Essentially, they handle all the maintenance, storage and cybersecurity responsibilities and charge clients for the operations. While some servers, like Cisco in a recent fiasco, have lost client data, the problem has so far been a rare occurrence, according to The Register. However, there is another side to cloud data. It can keep existing even when the order is given for deletion, as some celebrities learned in an unfortunate way, according to Wired. If an organization is going to store data through a cloud provider, they should be very careful if and when additional backups are made. Data that survives its intended expiration can be dangerous, especially if the parent company has no idea it exists. Oxford Dictionaries chronicled the phrase “you can’t have your cake and eat it too” as a way of summarizing that you need to choose only one option. With data storage – you can eat as much of your cake as you want, while still having an infinite supply left over. For companies serious about safeguarding data, the best option is simply both. Backing up data to multiple sources is one of the best ways to ensure that it is never accidently deleted. Just be sure that every copy is secure, to keep classified information out of malicious hands. Storing data in multiple sites ensures that it lasts longer.